Representative Honours: Northern Ireland: 11 Under-21 Caps / 2 Goals (2012-2014), Under-20, 17 Under-19 caps / 8 goals, 5 Under-17 caps / 1 goal, 5 Under-16 caps / 1 goal. 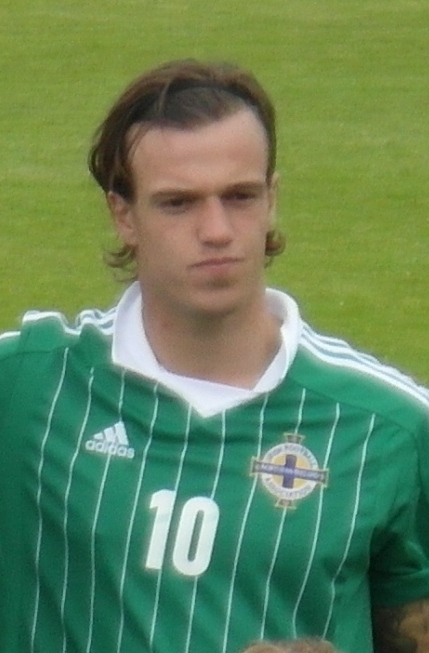 A member of the Northern Ireland side that reached the final of the 2010 Milk Cup Elite Section. A regular at various youth levels, he scored on his Under-21 début, in battling 3-2 defeat by Hungary. Accompanied the senior Northern Ireland squad on their 2014 summer tour to South America. Has since drifted away from league football. In October 2015 he was caught driving while over the legal alcohol limit and subsequently served a driving ban. Gray joined Glenavon in mid-way through the 2016/17 season on a short term deal with a view to earning a deal back in the English Football League. Summary: 9(2)/2. Won 0, Drew 0, Lost 11.